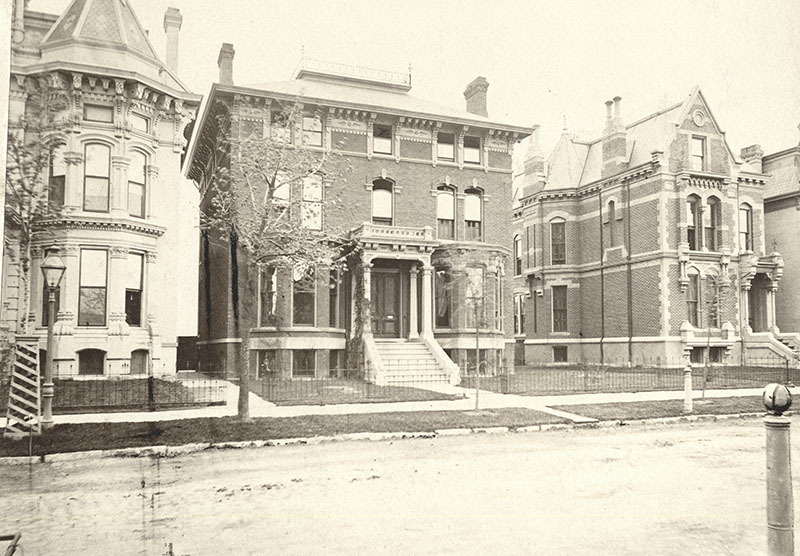 Brush Park was once home to Detroit's wealthy elite, a neighborhood of Gilded Age and Victorian homes that covered over 20 blocks. 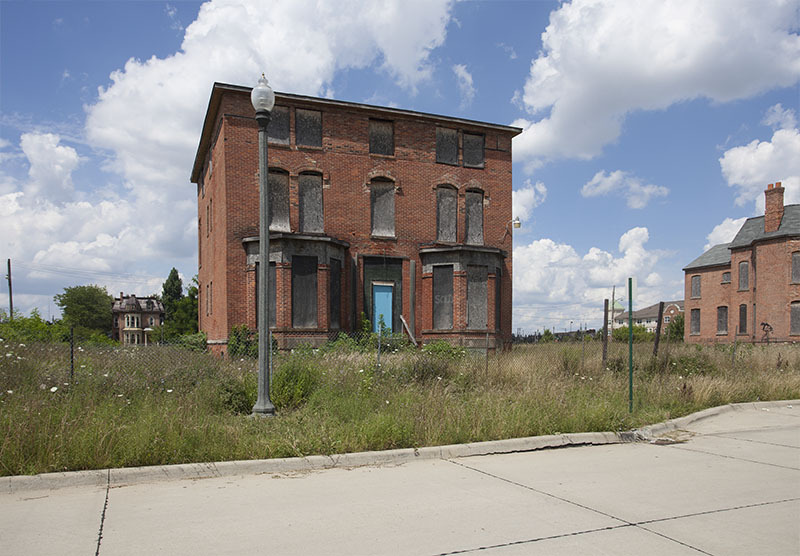 As the city expanded through the early 1900's, Brush Park's residents moved to outlying areas, and the neighborhood became a rundown slum. Today about 70 of the original 300 homes remain. While many of the homes have been lost, some of have been restored, and others like the one above are stabilized and are awaiting restoration.